This week I was able to get the suspension and running gear completed, as well as the lower hull details and some of the upper hull parts. The lower hull, including the bogey assemblies and drive sprocket and idler wheels went together with no problems. A bit of mold line smoothing, especially on the wheels wasn’t too much of a hassle, and everything fit splendidly. The rear hull plate also fit with no problems. If you remember from last time, I was somewhat concerned that the attachment points might pose a bit of a problem when cutting parts off of the sprue, but it hasn’t been a problem. The only parts, so far, that have been really tight, are the suspension parts I mentioned in my last update. Next up, I assembled most of the interior floor, leaving off the seats and fire extinguisher for ease of painting. Again, no fit issues here. I next assembled all of the front, upper hull parts. I also attached the sand skirts and the extension parts that hang off the skirts. For a somewhat complex, one-piece part, with a groovy curve where it attaches in the front, it fit very well. After I did some dry fitting to make sure nothing was off, I held the rear portion in place after checking alignment along the whole side, then using Tamiya thin cement, I ran it along the back first. Once that had set, I did the same with the front portion. Worked like a charm. Here are the upper and lower hull sub-assemblies so far. Next up is priming the inside lower, and inside upper hull. Hard Work Taken Out of Modelling… Hmmm. 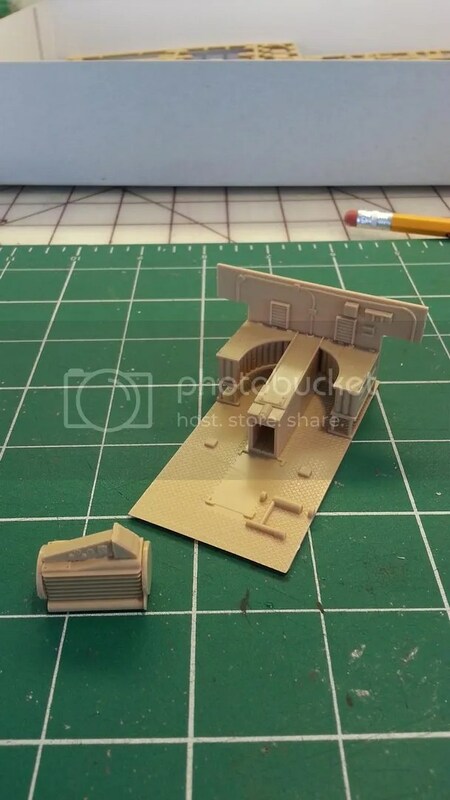 The gist of this week’s topic concerns the aftemarket products available for scale modelling, and their effect on the hobby. Like many, I got my start in modelling when I was a kid. For me this was in the late sixties. At that age, I wasn’t interested in anything that didn’t come in the box. What was there in the box, is what got attached. When I got a little older, in my junior high years my main influence when it came to models was Shepard Paine. His diorama tips series that he did for Monogram were my inspiration and introduction to the possibilities of modifying and improving model kits. Everything he did in these how-to articles was scratch built. I would call this time period (mid- late-’70s) my time of enlightenment. Fast forward to the end of the beginning of the second decade of the 21st century. I got re inspired and decided to give hobby another go after a 20+ year hiatus. The world of plastic models had changed dramatically. The after market selection dwarfs the kit selection by quite a bit. There are upgrade kits and spare parts for almost every model made. Need an interior for a Tiger tank? Take your pick. Whole, resin, drop-in interiors are out there. Detail kits are aplenty. Metal barrels for main guns, and secondary armament abound. Engine kits for planes, and armor, and whatever else you might need or desire. Pretty much whatever conceivable item a person could want can be had with a quick tap-tap-tap of the keyboard. First, there is the person who uses lots of after market items. This person has to clean it up, test fit, and maybe modify to get the item to get it to work. Then it is paint as usual. As far as I’m concerned, even though it is “ready-made,” it still requires some skill to pull it off. Second, we have the scratch builder. for this person, good references are a must, skill with tools, appropriate materials, and patience. And, potentially, some of that creative gizmology. As far as my side of the coin? I would fall in the middle. If I can scratch it, I will try. Angular shapes and such are probably the easiest, whereas curves are more difficult. If something is a bit too tough I would have to go with ready made, after market items purely for sanity’s sake. I have a couple of kits coming up that do not have after market items available. Both are going to require a lot of scratch building. I think any good modeller should use both methods available. I do have to say, however, that the more scratch building there is, the more impressed I am with the finished product. I think that is why I have always been so impressed with Shepard Paine. His use of homegrown vacuforming, mold making, and all that impresses me to no end. To look down upon someone who uses after market products is a mistake, though. I look at it as just another step in the evolution of modelling. Pooh-poohing someone’s efforts just because he or she is using non-kit, ready made items, is kind of like looking down on someone that buys the latest Dragon kit that includes detail that one might have to add to an older Tamiya kit. After market parts are just another resource to help people build the best model they can. So, to sum it all up, I don’t see after market parts as a disappointment. They offer modellers another way to enhance their modelling experience. 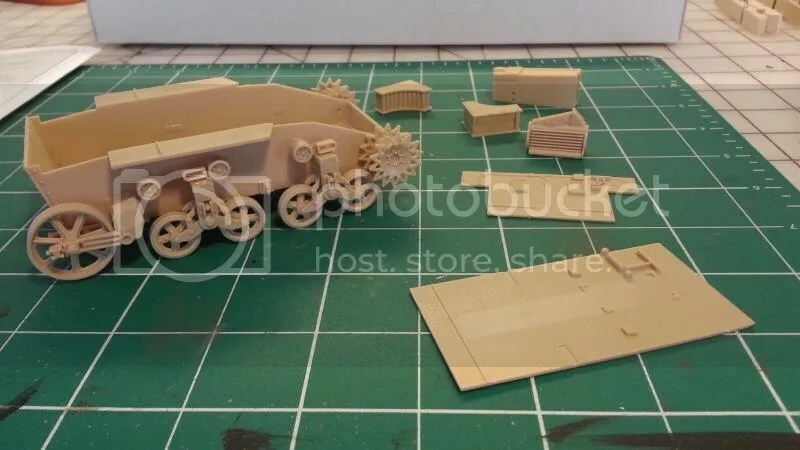 And for those who don’t care for after market, scratch building will always be there. And Now… Back To Armor. Now that the Ta-152 is done, it is time to move on. 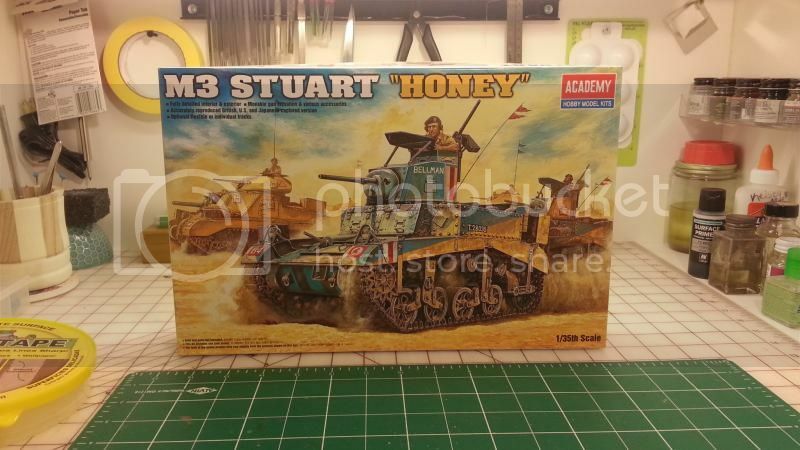 My next kit will be the Academy Stuart M3 “Honey,” in 1/35 scale. 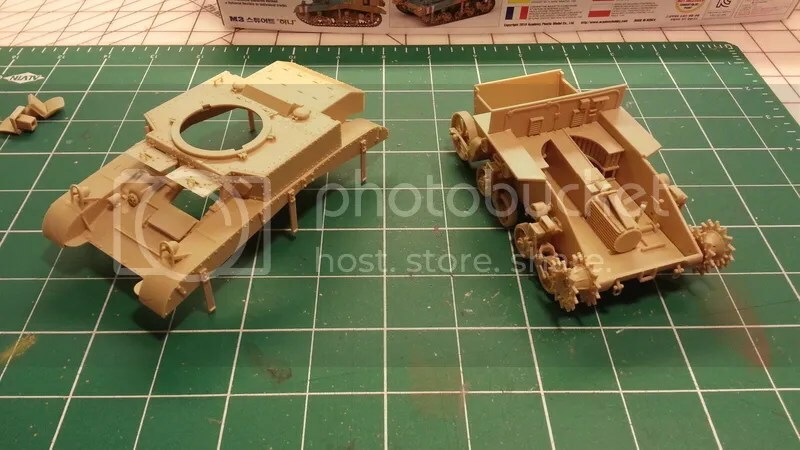 I have built one M3 tank in my modelling career, and that was the old Tamiya kit. I built that one in 1985, or so. It was a fun kit to build and was the first kit that got a black wash as part of the weathering process. I really was stoked with the way it turned out. As a matter of fact, i may still have it in storage. If so, I will take a few pics and post them. Anyway, the “Honey” looks like a great kit. In looking at the sprues, they seem to be molded nicely and the detail looks great. The instructions look pretty straight forward. I plan on using Vallejo paints again, with some Testors Model Master Enamels for the detail painting. 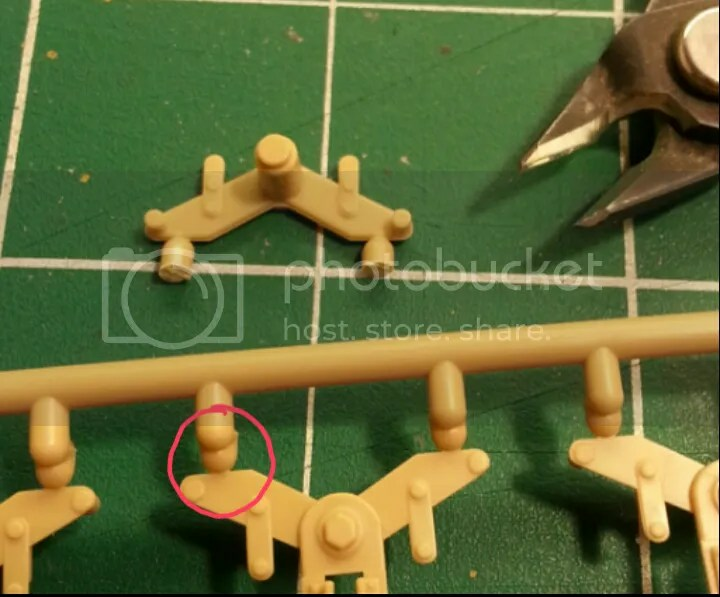 I am used to a small straight piece between the rounded nub of the sprue and the actual part. I very rarely cut the part flush from the get-go, usually opting to cut closer to the sprue and then carefully cleaning the remaining stem of plastic from the part with an Xacto knife and maybe some light sanding. As far as accuracy goes with the kit, it seems there are some issues. 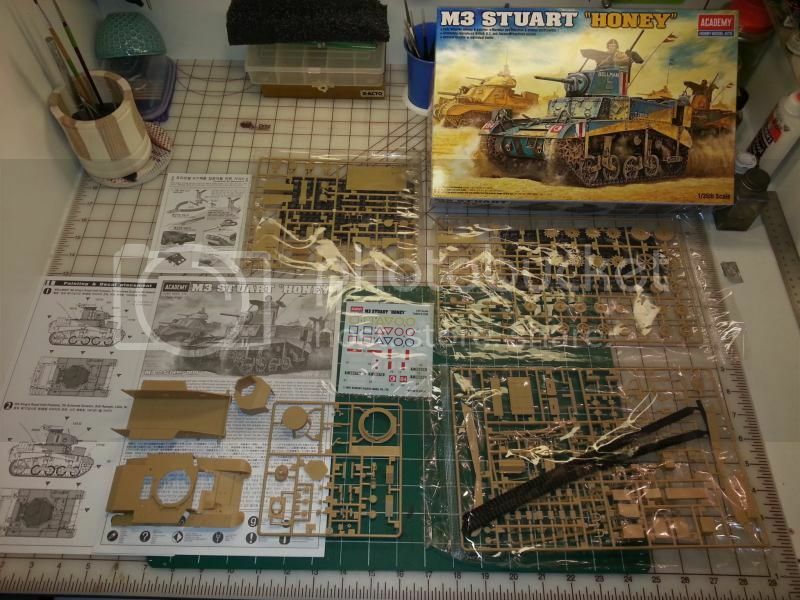 From what I gather on various sites, there seems to be a mix of M3 and M3A1 features in this kit. One notable point is the turret basket. Apparently, the M3 did not have a turret basket, but this kit does. I may look into correcting it, but since it is inside the vehicle and will most likely no be seen, and since I tend to be an “out-of-the-box” kind of guy, I may just leave it. We’ll see. So, now I am off to do a little work on the “Honey.” I will report back soon with my impressions, so stay tuned.